I wonder if anyone is finding today a particularly weird day. Because it’s the 29th of Feb. I thought I’ll put up a recipe for the occasion. 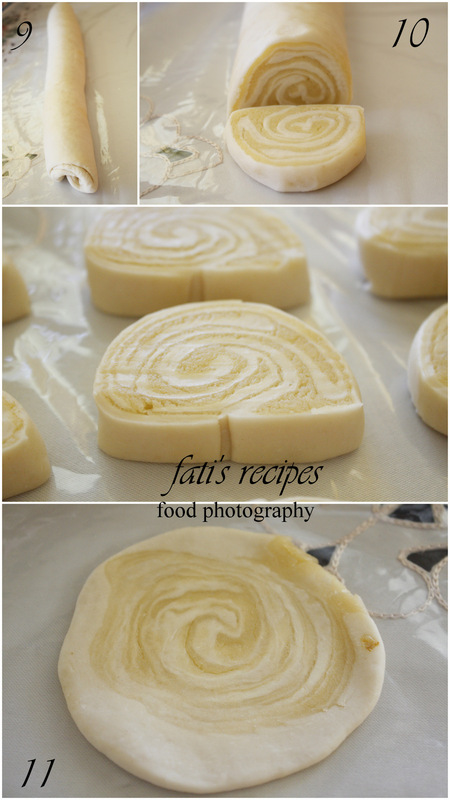 A while back I tried a recipe for 2-toned spiral curry puffs I saw on Tes at Home’s blog. Although my 2 tones didn’t turn out as 2 tones, there was still some sort of recognisable difference in the curry puff pastry. What I love about this recipe is that the dough (water one especially) is SO easy to make. If you’re the sort of person who makes fillings in advance, you could be curry puffing your way in minutes without a tiring huff or puff! Combine all ingredients for the water dough in a large bowl. 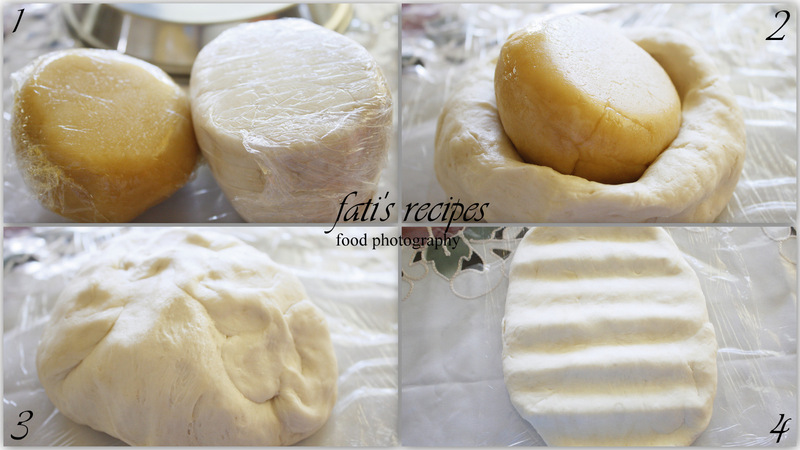 Knead well for 5-7 minutes. Cover and rest the dough for 20 minutes. Meanwhile, for the grease dough, crumble the butter in the flour until it resembles coarse grains. Add the oil (and water if necessary) and knead until smooth and pliable. Make the filling by adding the potatoes with a drizzle of oil into a non-stick pan. Add in the salt and stir through the potatoes for 5 minutes on medium heat. Add in the chicken and cook for a further 3 minutes. Add in the remaining ingredients and spices and simmer until the potato and onion soften. Dish up the mixture and leave aside to cool. Meanwhile, roll the water dough out into a large sheet and wrap it around grease dough. Roll out into the long sheet, make marks with the rolling pin to help you roll it into an even shape. When you have rolled out the dough to a 1 cm thickness, roll it into a Swiss roll. 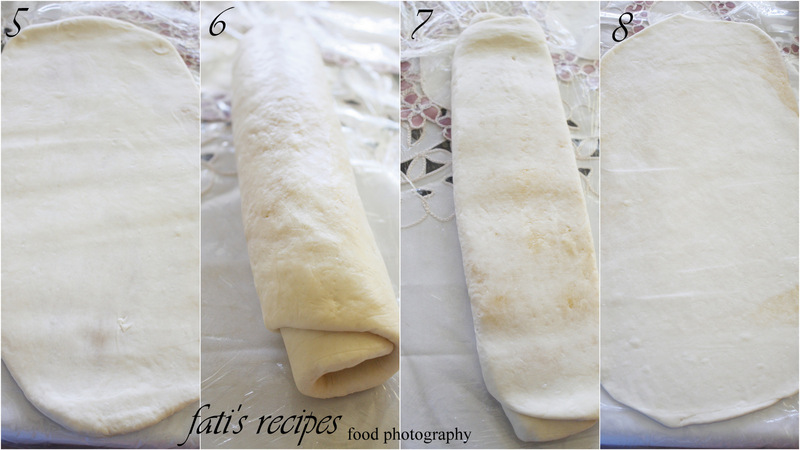 Roll the dough again out into a sheet, then into a Swiss roll, like the previous process. I rolled mine a bit thick, but they’re tastier when the dough is rolled out thinner (I did this recipe twice)! Cut the dough into 1/3 cm thick discs. Gently roll the discs to flatten them. Add the filling onto the middle and fold the pastry in half. Press and crimp the edge of the curry puff. Repeat this until all the remaining curry puffs are finished. Heat oil in a deep fryer over the medium-high heat. Deep fry the puffs for few minutes or until golden brown. You got me with the word curry! I like the idea of the water dough and am glad you´ve already done the research for us 🙂 They look so pretty when they´re rolled out and baked. Very nice indeed. Oh my, this looks delicious! I love the curry mix and the dough looks perfectly flakey. I am quite intrigued by this dough…I really love it. I will try it this weekend, for sure this time. Beautiful! Great job on making a super flaky tender pastry! The filling looks wonderful and your pastries look perfect! Oh my goodness! These look absolutely delicious! These look delicious! Really want to have a go at these. TFS. A friend of mine was born on Feb 29 – Imagine only having a birthday every 4 years. He said that it’s fun being younger than your kids! 🙂 I love these pastry and would give anything to bite into one right now! They are absolutely beautiful and I’m sure the taste matches. A great recipe for today or any day for that matter.. 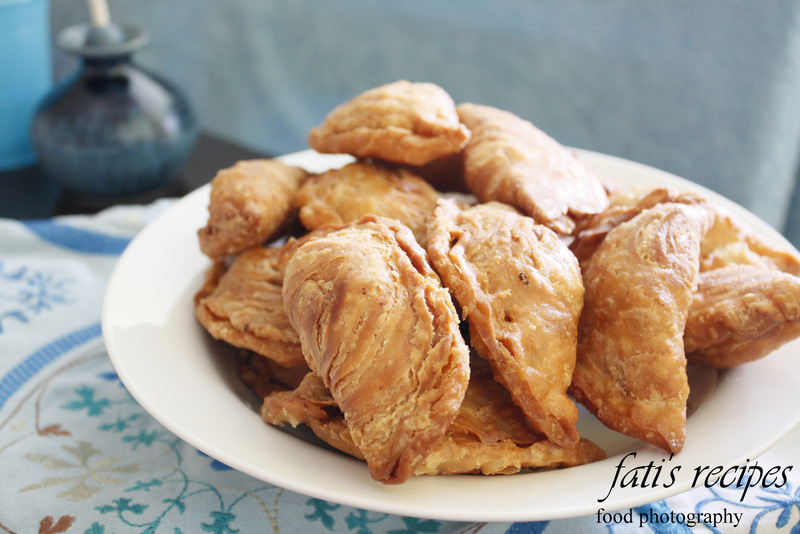 I love the sound and look of these curry puffs! Yum Yum. Wow, you have such a deft hand with dough! Oh my oh my oh my – and I could actually make and eat these. I love the dough combinations and then there’s the filling. YUMOLA. Your curry puffs look beautiful. 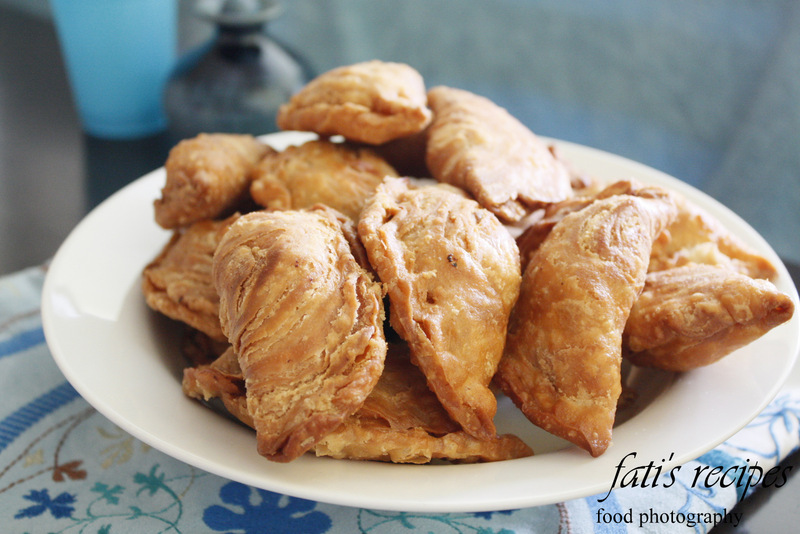 I had my first curry puff many years ago in Australia in a Thai restaurant. I couldn’t believe how much I loved them! What a great recipe. 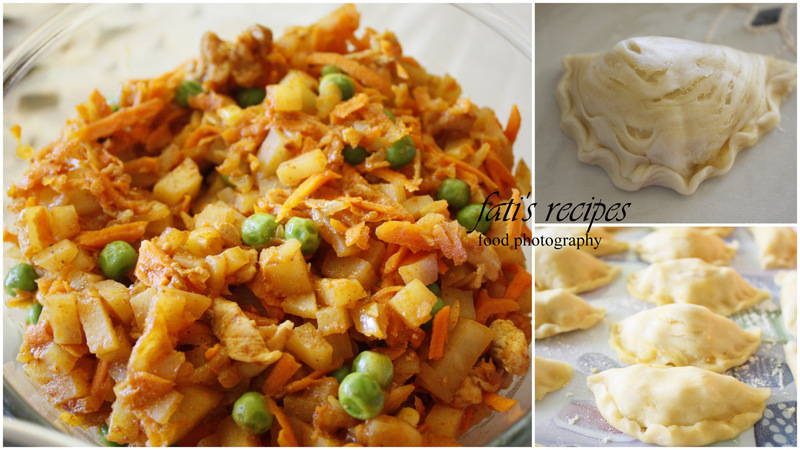 I’ve made curry puffs once before but the pastry didn’t work out. I’ll try it again with a water based pastry. Great images. 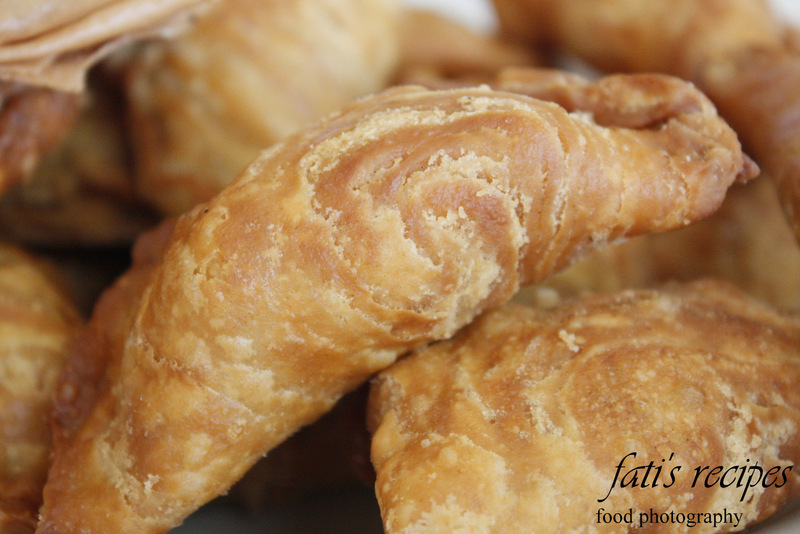 Oh, those swirls in the pastry – it looks so beautiful Fati – and the idea of the dish has me feeling positively starving. The pastry looks crisp and delicious, and the filling – I can just imagine the taste… Love it – I have to try these sometime! I like the idea of these savory puffs! Wow, it looks fabulous! and fantastic pictures. Oh these look divine. Great photos as well. THIS is my flavourite recipe! I just live the stripes! I’m incredibly pathetic when it comes to barely surviving in a kitchen. These do sound nice though. Would never be able to make them as I could probably be labeled The Ramen Killer by local media outlets, but it’s nice to look at none the less. I’m jealous of your ability!